Thu., Nov. 2, 2017, 4 – 6 p.m.
Hind Kabawat has directed CRDC’s Syria work since 2004 and has trained hundreds of Syrians in multi-faith collaboration and civil society development. Since the beginning of the Syrian revolution, she has piloted numerous training programs related to conflict resolution, women’s empowerment, and negotiation skills in Aleppo, Idlib, the Atmeh IDP camp, Istanbul, and Amman. She is also an instructor for CRDC’s graduate seminar, Approaches to Conflict Management and Resolution: Field Work with Syrian Refugees. Hind is the founder and director of the Syrian Centre for Dialogue, Peace, and Reconciliation in Toronto and has served as a consultant and advisory board member at the World Bank. She is also head of the interfaith committee for Tastakel, an organization that includes women from diverse groups working for peace and reconciliation through women’s empowerment and education. In this position, Hind directs a literacy center for Syrian refugee girls in southern Turkey. 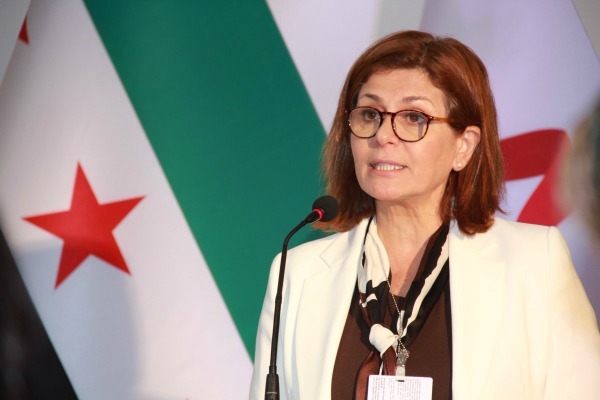 She is presently a member of the High Negotiations Committee at the Syrian peace talks in Geneva and is a founder of the Women’s Consulting Group for the HNC. Unless otherwise noted in the event description, CMES events are open to the public (no registration required), and off the record. Please note that events may be filmed and photographed by CMES for record-keeping and for use on the CMES website and publications.